The identically shaped scales of the butterfly’s wing allow reflected light from the bottom layers to combine with reflected light from the top layers. Image courtesy of Richard Prum. If you have ever caught a glimpse of a shimmering peacock feather, a butterfly wing, or even a soap bubble, you may have noticed that the object seems to change color as you shift your perspective — in fact, iridescence has played an inventive optical trick on you. What exactly creates this mesmerizing effect? 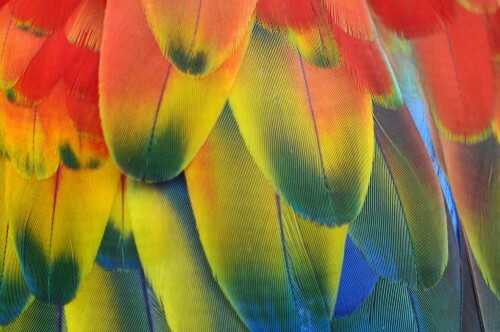 As viewers change their point of view in relation to the scarlet macaw’s iridescent feathers, the colors of the feathers appear to change as well. Image courtesy of Santosh Shanmuga. Light travels in predictable patterns of waves, with rising crests and falling troughs. Many colors found in nature are produced by pigmentation, which simply absorbs certain wavelengths of light and reflects others. Iridescence, however, occurs when an object’s physical structure causes light waves to combine with one another, a phenomenon known as interference. In constructive interference, light waves combine so that the crests and troughs line up to reinforce each other, increasing the vibrancy of the reflected color. Destructive interference occurs when the crests and troughs cancel each other out to dim the color. Thus, as the observer’s viewing angle shifts, the colors of the iridescent object change depending on the varying degrees of constructive and destructive interference. A variety of structural features interact with light to create iridescence. 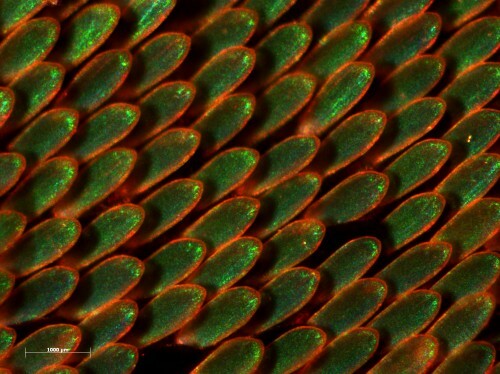 Some iridescent objects have multiple layers, such as a butterfly wing composed of layers of identically shaped scales. Light reflected from the top layer collides with the light reflected from the bottom layers to cause interference. 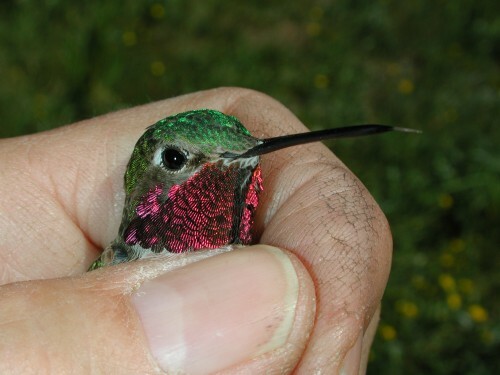 While alluring, iridescence is more than just an optical curiosity. In nature, it is used to recognize organisms of the same species, choose mates, and confuse and evade predators, proving it to be an extremely useful adaptation in the animal kingdom. 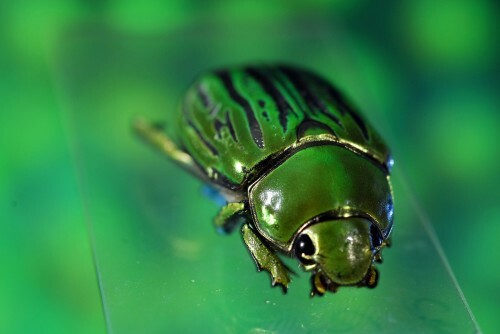 The physical structure of the jeweled beetle’s shell gives the insect its iridescence. Image courtesy of Gary Meek.